Add moments to every channel (e.g. plan a time to handle all Facebook posts or ads in the future). 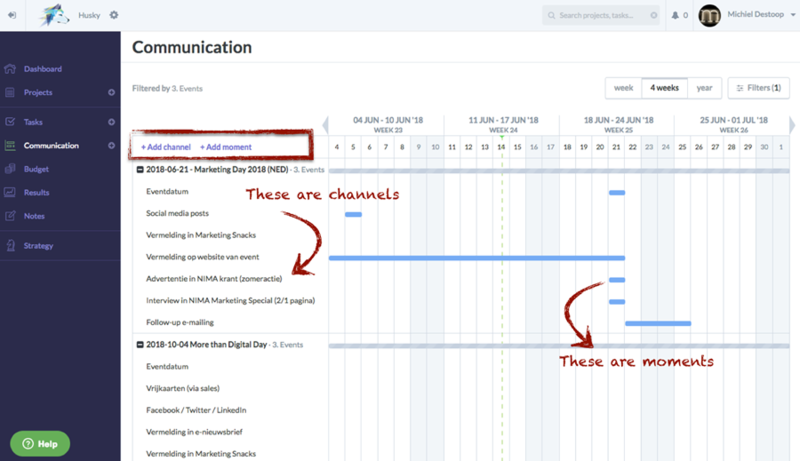 Because you can do this on one and the same central digital platform in Husky, our communication calendar is much more convenient than an Excel plan.